Movement has to do with time and space, displacement and change, transformation and the body. A small car is placed on a surface into which a loop of a found film of a road is projected. The video is so effective to portray the car movement that it actually feels like the car is travelling through the road. This creates an embodied experience for the viewer, who finds himself transported, moving along with it. This piece is about a road trip, but further more about possibility, the chance to go anywhere, to keep on moving; it’s about the journey, the movement, and the transformation. For Heineken I created a surreal universe inside of a box with built-in speakers. The starting point for this piece was music, rhythm, but furthermore, the possible images that could be behind that. So what begins like a play of lights transforms into an unexpected narrative as the speakers start filling up with beer. Suddenly we are able to look inside of them and witness this underwater / under beer life that inhabits this device as it is revealed through the apertures of the speakers. Kellog’s makes me think about mornings, the beginning of the day. So I wanted to portray an abstraction of that beginning, through the creation of different scenarios for that same situation. So, I though about windows as a way to look into this new day. 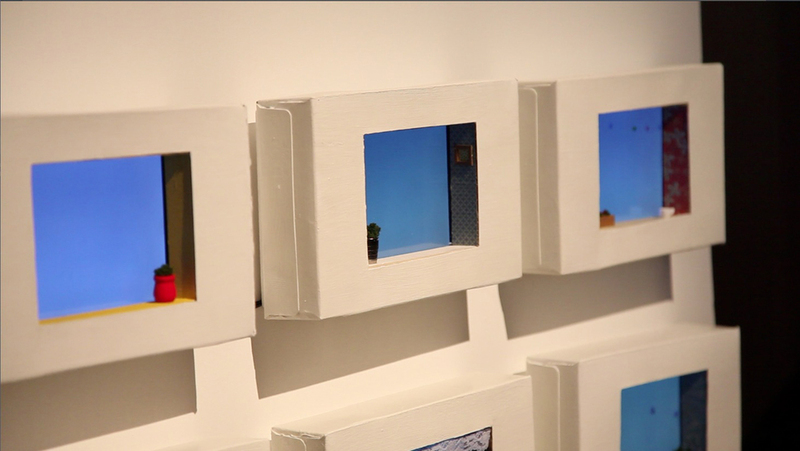 Using the cereals boxes as frames, I built six different windows, putting screens inside of them that show a common view, but from different angles. The function of memory implies the production of objects, which are not static repositories but dynamic triggers of perception through which remembrance is activated. For this piece I’m creating a story, combining super 8 found footage film of Paris from the 50s and 60s with a (fiction) video of the girl that we can assume is shooting the film. The images are mapped into a small structure of transparent plexi-glass cubes, having all the scenes projected at the same time. 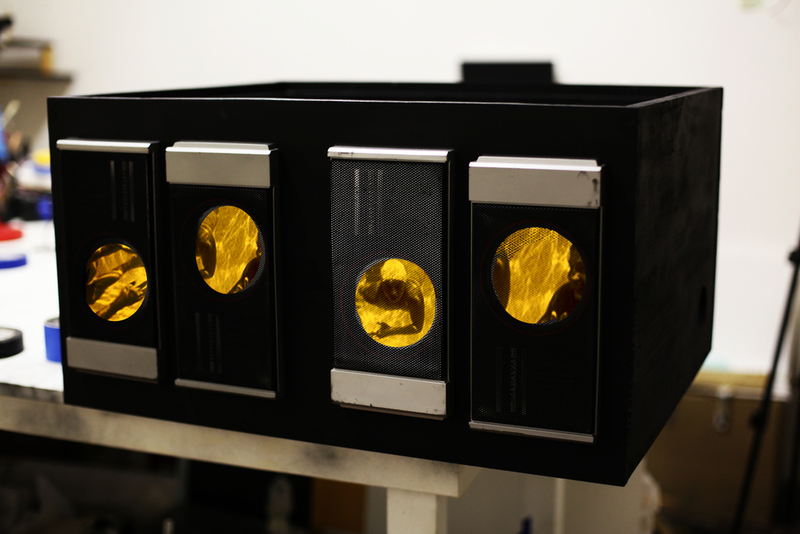 Projecting into these plexi-glass cubes creates the illusion of the images being contained inside of them. So, the film and the story are deconstructed and put back together allowing all the moments to coexist in an intimate web of time and space.